Great news! We are happy to announce a brand new version of the very popular Cloud Applications bundle. But wait! There's more! This new release officially makes the Cloud Applications bundle an ExtraHop Supported bundle. More on that in a moment. The Cloud Applications bundle offers you improved visibility into the cloud-based and Software-as-a-Service (SaaS) applications that may be present on your organization's network. as your company embraces and transitions more and more to SaaS-based solutions. Cloud apps like Dropbox, Salesforce, Google Docs, Office 365, and others offer significant business benefits. However, it can be challenging for your IT teams to maintain the same levels of performance and customer experience accustom with on-premises. Often, IT is left spending many man-hours trying to not only troubleshoot and root cause a particular issue, but trying to get a handle on the real impact of these new cloud-bound traffic. With ExtraHop and this latest release of the Cloud Applications bundle, IT Ops can immediately gain the visibility required to understand and act. The new release builds on the popular features of earlier release, starting with dashboards. The Cloud Applications bundle dashboard delivers real-time visibility into a range of cloud applications present on your network and details the network resources being consumed. For example, the Overview section highlights the transaction and throughput impact of categories of web applications, making it simple to correlate these data with the overall network traffic during the same time interval. Clicking into Cloud Application widgets enables you to drill down by group member, cloud application, cloud category, and server. Next, the Category Details section breaks out activity by web application type and the Application Details section highlights consumption by application. Together, these two views add broad visibility into which cloud-based web applications are transacting most frequently. Finally, the Unknown Cloud Applications section offers views into the bytes, throughput by host, bytes by host and transactions by host. You can right-click on the Unknown Cloud Application widgets to get drill-down details by group member, host and server. Added ExtraHop Explore Appliance (EXA) records for each transaction. 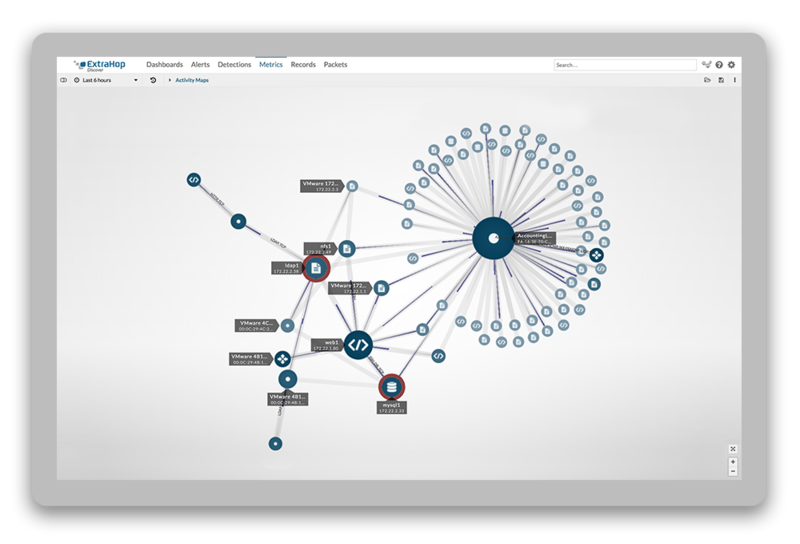 EXA records enable you to build EXA queries to view activity related to specific cloud applications of significance on your network. Get started today with the newly released Cloud Applications bundle by visiting the solutions bundles gallery.